Young Bobby Cain walked into Clinton High School in East Tennessee with 11 other students in 1956 shortly after the Supreme Court overturned Brown vs. The Board of Education which had just declared segregation in schools as unconstitutional. segregation that carries memories and wounds deeper and more painful than those he ever encountered in the military. He rarely gives interviews, and leaves the civil rights marches and initiatives to those who do it best but another layer of history unfolded through the lens of a young black boy that stood strong as blacks were integrated into schools, stood as whites tried to beat him down on graduation day and is still standing now. 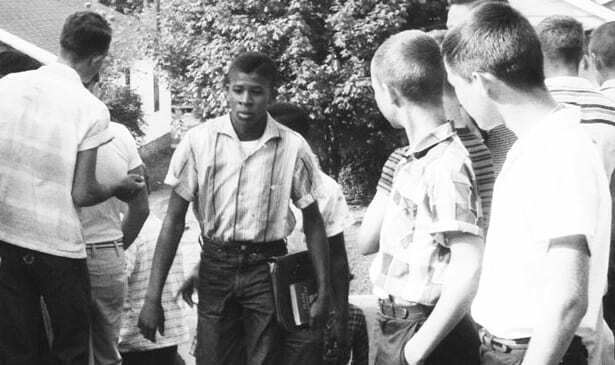 Young Bobby Cain walked into Clinton High School in East Tennessee with 11 other students in 1956 shortly after the Supreme Court overturned Brown vs. The Board of Education which had just declared segregation in schools as unconstitutional. When the court order was issued, 12 black students were eligible to enroll at Clinton High School, in which two were seniors. This was not Bobby’s choice because he was happy being bused to school in Knoxville. The only problem was the county stopped the funding to transport the black kids to school across county lines. Young Bobby had no idea of the violence, many nights sitting in the house with the lights out, neighbors protecting him with shot guns and White Supremacists that would become part of his life changing destiny. He has no recollection of why he and the 11 other students were called the Clinton 12 but during those school days in the 50’s there were only two blacks in the graduating senior class Their presence brought rioting, turning over cars, knocking out car windows, the Governor calling the National Guard and threats of blowing up buildings. His friend Alfred was supposed to graduate with him but he was suspended from school for fighting. Sadly, Alfred never returned to school and left Bobby alone as the sole black in the graduating class. Other students of the Clinton 12 dropped out or their families moved. Bobby Cain had many fights. Before Alfred dropped out, he and Bobby often fought the whites together and one fight was so bad the two boys were being beaten, bloodied and mobbed with sticks that police yanked them out and threw them in a jail cell to keep them from being killed. This particular fight happened because he and Alfred wanted to get a hotdog at a deli instead of eating in the cafeteria. He persevered as a 130 pound 16 year old black boy in a world of no friends during his most formative years. The White Supremacists came from as far as Washington, DC to protest. If white students talked to him too long, the other students would beat the other whites for talking to the black boy. When it came to lunch he stated, “I can’t remember going into the cafeteria.” “I probably meditated.” He was invited to be on the basketball team but he said the other teams refused to play if a black was on the team. The teachers were nice and he recalled that, “My teachers never showed me animosity but the other students have to speak for themselves.” A white pastor tried to show support by walking to school with Cain and the Clinton 12. This brave pastor, Paul Turner of the First Baptist Church, was beaten by the mob afterwards. This led to the police escorting the children to school. Paul Turner committed suicide in 1980. Every high school senior looks forward to graduation. Bobby Cain has a different story that will forever be reflected as a dark stain in the world of education. The pain could be seen in Cain’s eyes almost to the depths of his soul as he stated, “Graduation should be the most beautiful time of your life.” Evidently, his was a horror. He told his parents the night of graduation they need to hurry and meet him as he turns in his cap and gown after the ceremony. The principal had a few students protecting him during the ceremony but afterwards, he was on his own. His parents were too slow. Bobby Cain was again, fighting as the white students turned off the lights in an ambush and Bobby fought for his life and just started swinging and fighting until his parents and others could arrive and circle him so he could safely turn in his attire and go home. He went home, grabbed the shot gun and was ready to shoot to kill if any or anything came his way. Bobby Cain finally broke but his father was there to keep him from doing anything reckless. Bobby Cain is a story of strength, perseverance and faith. His story is not as told, did not have as many support groups, no military escorts, no presidential medallions and lastly, no hoopla from the NAACP. He was not an intentional, hand-picked or trained hero. His school was bombed a year after he graduated so there ares no visits to the old school steps for past reflections. 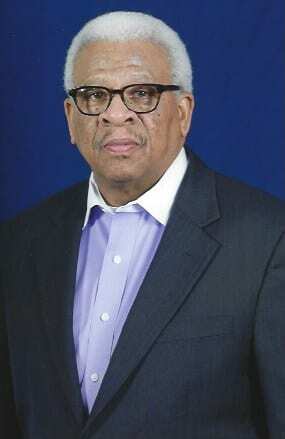 He pursued higher education and was supported through money raised by the Pittsburgh Courier and the Elks Lodge which led him to a work study program at Tennessee State University where he met his wife Margo and he graduated debt free. He enjoyed a great career in the Army and is a Veteran. Mr. Cain is a true but overlooked civil rights hero in Nashville that has served his community and his country and served very well. He enjoys a quiet retirement in Nashville with his wife Margo and grandkids.